"This is a text that many of us have been waiting for. 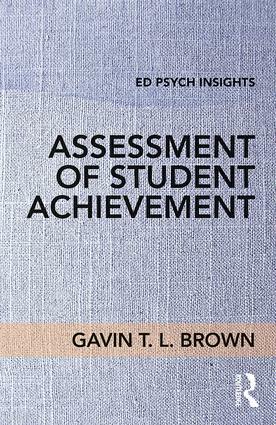 Brown adopts a balanced approach to discussing the assessment of student achievement. By focusing on how people interact with assessment at deep, often personal levels, he delves into territory that every teacher and student must face: how do I feel about assessment and what does that mean? This book enhances the discourse around assessment through topics, examples, and criticality that speak to the needs of modern educators."